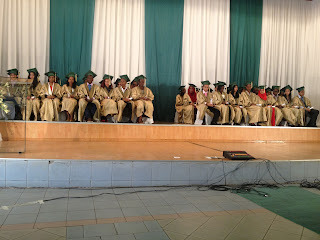 This is a transcript of a speech I made to the graduating class of 2013 at the Aga Khan Academy, June 14, 2013. Ms. Jerri-Lynn, thank you so much for the kind words of introduction. It is a distinct honor and privilege for me to be the guest speaker today. To the class of 2013; fortified by love and pride, patience and enormous sacrifice of your families; this is a great moment, a moment of great promise and great expectations. To the distinguished faculty members, I am sure the class of 2013 is especially proud of you. You will be forever etched in their grateful hearts. Thank you so much for the years of hard work and dedicated service to these young men and women. 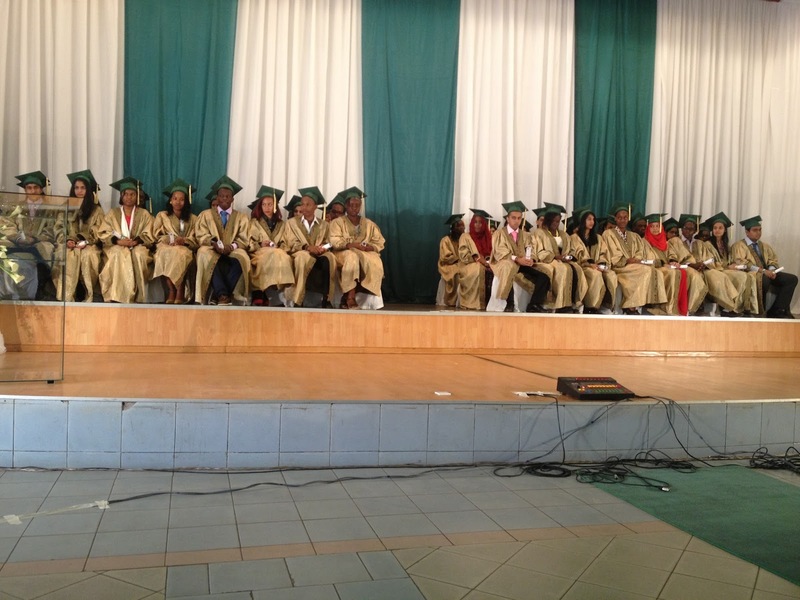 To the class of 2013, I must congratulate you on your achievement. And if your experience was like mine, this must be a truly incredible achievement. Lets face it; my presence here is pretty unlikely. I hated school. My only motivation for turning up in primary school was because it gave me the opportunity to play with my friends, and school was where we all hang out. I excelled in every sport, from soccer to high jump. At the end of every school term I was at the top of my class and the teachers comments were always predictable “playful and disruptive in the classroom”. High school was miserable. University was somewhat liberating. But I remember one undergraduate class; the when a professor came over to me asked why I was not writing as he dictated notes to the class. I said to him that I was waiting for him to make a point of his own, something he had not copied from the course textbook. I was just 20, evidently naïve and reckless. But I am much older now. And a little wiser too. So I would like to share some thoughts with you and hope you find an ace that you can keep. And I don’t mean greatness in the narrow self-idolatry, self-serving, self-promoting way. I mean greatness in service; always putting others’ needs before our own. As Robert F. Kennedy said, “Few will have the greatness to bend history, but each of us can work to change a small portion of events”. We live in an age in which the “wisdom of crowds” has become an accepted truism. “Peer pressure,” far from being a pernicious influence, is something we gravitate to, a source of self-nourishment. Not many of us are willing to take disapproval or censure from our friends, let alone from people we don’t fancy. A great sociologist David Riesman argued that as the economy turned producers who manufacture goods into consumers buying them, the nature of our society changed. People went from being “inner-directed’ to being “outer-directed,” from heeding their own instincts and judgment to depending on the judgments and opinions of tastemakers and trendsetters and pop stars. But if you listen to your own voice, you can rise above doubt and judgment. And you can strive for and achieve greatness. As American author Mark Twain said, “Keep away from people who try to belittle your ambitions. Small people always do that, but the really great people make you feel that you, too, can become great.” So surround yourself not with small people and listen to your own voice; find yourself. Greatness will come not from the scale of your wealth or the size of your car or from your position in society. Greatness comes from service, sacrifice, and citizenship; a dogged commitment to give back, a stubborn determination to look not only after your own but to reach out in the service of others. I hope the eternal words of the great English poet and preacher, John Donne, will ring true in your lives “Any man's death diminishes me, because I am involved in mankind; and therefore never send to know for whom the bell tolls; it tolls for thee.” Greatness comes through involvement in mankind. In the age of the “wisdom of the crowds”, march to the beat of your own drum; not in the self-centered big ego kind of way; although a self-assured swagger helps with getting a date. You need to strive to march to the beat of your own drum, follow the enchantment of your dream, and learn to be yourself. Do not follow the crowd. I must admit it is not as easy as I make it sound. But it is how the big thinkers, entrepreneurs, army generals and inventors were able to make their dreams come true. You must learn to follow your heart. Following your heart will liberate you to enjoy more freedom and fulfillment. You must learn to be the master of your own destiny and thoughts, living everyday as if it was your last. As Steve Jobs said to the class of 2005 at Stanford, “Your time is limited, so don't waste it living someone else's life. Don't be trapped by dogma — which is living with the results of other people's thinking. Don't let the noise of others' opinions drown out your own inner voice. Have the courage to follow your heart and intuition”. In1972 Stanford psychologist Walter Mischel gathered 600 children. Then he made them a deal; they could eat one marshmallow now, or wait 15 minutes and get two marshmallows. He followed these kids 15 years later. It turns out that the ability to hold out was correlated with greater success and self-control later in life. That ability to delay gratification will keep you focused on achieving your goal; ignoring tempting distractions. That ability also lets us keep going toward that goal despite frustrations, sheer exhaustion and failure. The larger point I want to make is that you must endure and persist and keep going in the toughest of time. In your life, and there is so much of it ahead of you, you will fail. There will be many false starts and setbacks. You will stumble, and you will fall. But always fall forward. American inventor Thomas Edison, known for 1,000 patents failed 9,999 times before he perfected the light bulb. Michael Jordan the greatest basketball player of all time is remembered for his six championships, not his nearly 15,000 missed shots. If you find yourself going through life with too few failures, it means only one thing; you have set your sights too low. You can only not fail if you aim too low. So worry, be very afraid when you do not fail. Finally, I speak to you on this commencement in the faith that it is one of many beginnings in your lives. You have had a great education and a bright future of promise and responsibility awaits you. But you must always remember that education doesn't take place only in stuffy classrooms and musty libraries, it happens all the time and everywhere and you can and will learn not just from your teachers and professors. Thank you for listening to me. Congratulations on your accomplishment.